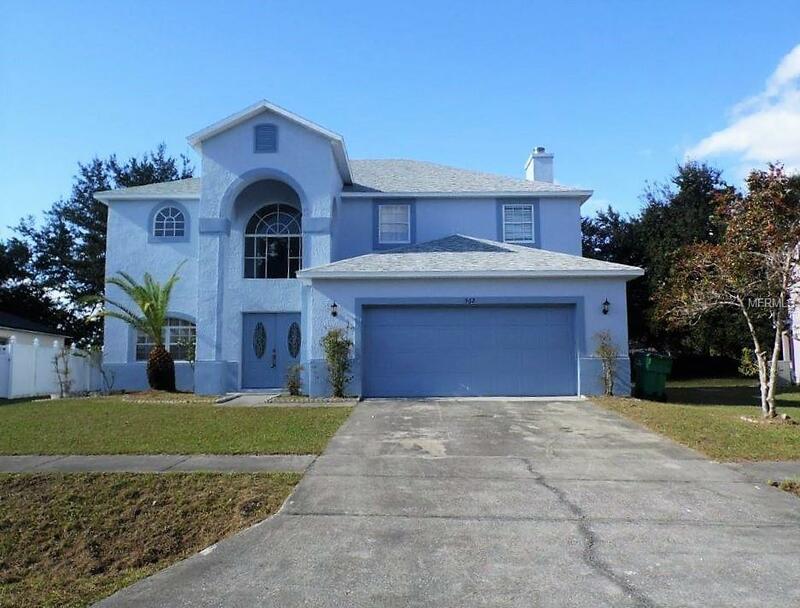 4 Bed/2.5 Bath 2 Story pool home with many upgraded features throughout. Home features tile flooring in downstairs common areas and bathrooms and laminate flooring in bedrooms and loft. Eat in kitchen with upgraded cabinetry, counters, and tile back splash and stainless steel range, side by side refrigerator, dishwasher and microhood. Large breakfast bar counter over looks the family room with fireplace. Separate formal living and dining rooms. Master bedroom includes attached bathroom with double sink vanity and upgraded garden tub. Hall bath also includes double sink vanity and tub/shower combo. Pool and spa with screen enclosure at rear of home- Pool service included with rent! Attached two car garage. Inside laundry room with washer and dryer for tenant's convenience (will not be warrantied by owner).